Single: valid for a single journey within a city and city suburbs from 04:00 until 21:00. Night - Single: valid for a single journey within a city and city suburbs from 21:00 until 04:00. Daily: valid for a single day to be used in journeys within a city and city suburbs from 04:00 until 21:00. 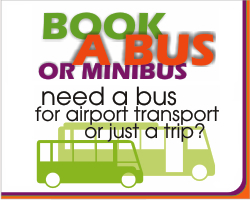 Weekly: valid for 7 days from 04:00 until 21:00 to be used in journeys within a city and city suburbs.